Is your family growing and your refrigerator shrinking? Sounds like it may be time for a new one then! Keeping everyone in your family happy often means keeping your refrigerator fully stocked. If you’re considering purchasing a new refrigerator, keep in mind the best refrigerator brands for families. If size is your top priority when looking for the best refrigerator brands for families, LG is a must. They have several huge units that can hold over 30 cubic feet of groceries. 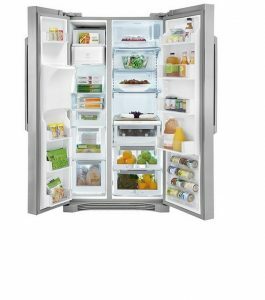 French Door Bottom Freezer Refrigerator – This large capacity LG refrigerator has it all! The Slim SpacePlus Ice System makes room for more door storage and shelf space. The Smart Cooling Plus technology keeps food fresh as long as possible, to save you money. The Blast Chiller cools drinks in just 5 quick minutes. Double Freezer Drawer Refrigerator – If you like to make meals ahead and freeze them, this is the refrigerator for you. It has a two-door freezer for tons of storage. This model is super energy-efficient as well, using up to 20% less energy than legally required. The large capacity refrigerator allows you to customize your food organization too. 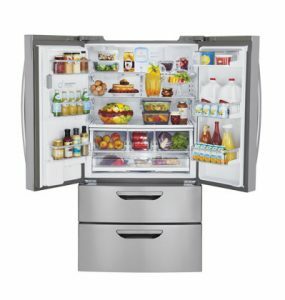 Samsung boasts the largest capacity refrigerator on our list. If your family loves to cook together, or you just need some help organizing family life, look into these Samsung refrigerators. 4 Door Flex Chef Collection – This Samsung refrigerator is perfect for a large family that loves to cook at home. Ther is ample storage for food, drink, and frozen goods. Adjustable shelves let you store what you want where you want — up to 34 bags of groceries! The stainless steel interior maintains ideal temperatures. 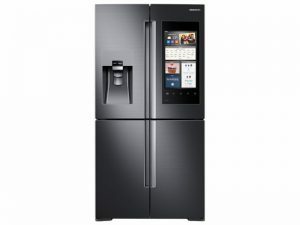 4 Door Flex Family Hub – Sync your whole life for your whole family – on the refrigerator! The Family Hub digital display lets you play music, make grocery lists, view calendars and more. It has a large capacity to fit plenty of food and beverages for your entire family. 33-Inch Top Freezer Refrigerator – If you prefer a top freezer model, this Whirlpool refrigerator is a great option for your family. Classic crisper drawers keep make produce last. There is even an optional icemaker to help make your life easier. 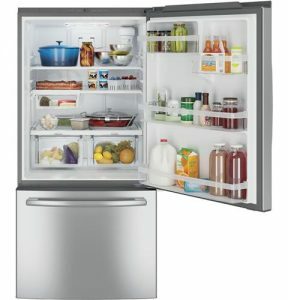 Wave-Touch Side-By-Side Refrigerator – This is one of Electrolux’s largest refrigerators to suit your growing family. The extra tall water and ice dispenser is perfect for filling large containers. The ice dispenser allows for a crushed or cubed ice option, so everyone is happy. 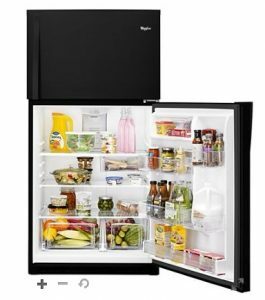 Bottom Freezer Drawer Refrigerator – This GE refrigerator is great for families, with its large capacity and convenient shelving. Bright LEG lighting makes it easy to find midnight snacks in the dark. This Energy Star certified refrigerator also boasts an advanced water filtration system. 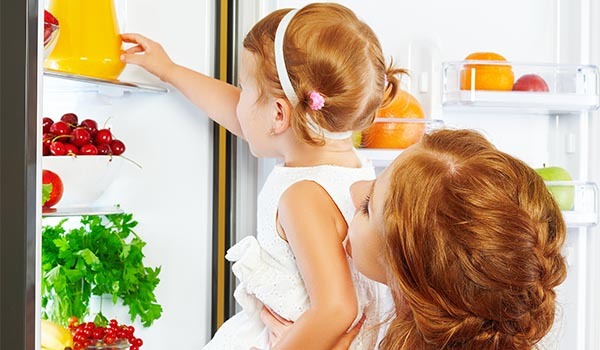 When your family fridge is on the fritz, call A+ Appliance Service. We repair all major refrigerator brands!